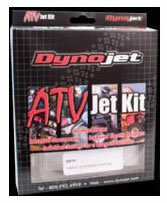 - Our Dynojet kits generally ship out within 1 business day. Great product! Everything works as it should.. Very satisfied with your business and prompt delivery. Thanks, and will most definately do bizz again. Worked as described, fast shipping, will buy from again! Superfast shipping, product as stated, works great.